Best bets and value tips for racing from Scottsville on Sunday 24th September with selections provided by Winning Form as well as their back page tipster, Magic Tips. Best bets and value tips for racing from Greyville on Friday 22nd September with selections provided by Winning Form as well as their back page tipster, Magic Tips. Best bets and value tips for racing from Fairview on Friday 22nd September with selections provided by Winning Form as well as their back page tipster, Magic Tips. Best bets and value tips for racing from Turffontein on Thursday 21st September with selections provided by Winning Form as well as their back page tipster, Magic Tips. 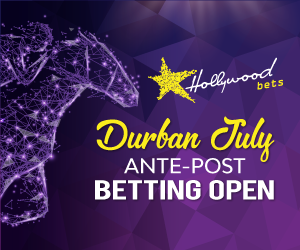 Best bets and value tips for racing from Kenilworth on Wednesday 20th September with selections provided by Winning Form as well as their back page tipster, Magic Tips. Best bets and value tips for racing from Turffontein on Tuesday 19th September with selections provided by Winning Form as well as their back page tipster, Magic Tips. Best bets and value tips for racing from Flamingo Park on Monday 18th September with selections provided by Winning Form as well as their back page tipster, Magic Tips. Best bets and value tips for racing from Scottsville on Sunday 17th September with selections provided by Winning Form as well as their back page tipster, Magic Tips. Best bets and value tips for racing from Turffontein on Saturday 16th September with selections provided by Winning Form as well as their back page tipster, Magic Tips. Best bets and value tips for racing from Fairview on Friday 15th September with selections provided by Winning Form as well as their back page tipster, Magic Tips.